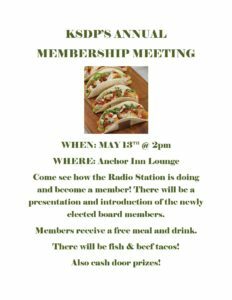 KSDP will have a quarterly meeting of its Board of Directors on September 19, 2017, at 5:30 PM. The meeting will be held at the station studios and is open to the public. 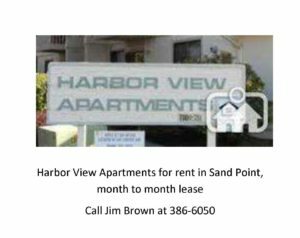 Sand Point Generating (TDX) Requests Permission For Electric Rate Increase! 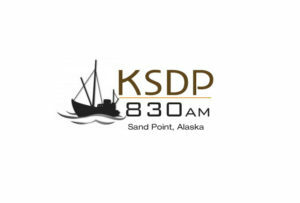 The REGULATORY COMMISSION OF ALASKA (Commission) gives notice that Sand Point Generating, LLC (SPG) filed TA251-230, a revenue requirement study, based on a 2016 test year. With this filing, SPG requests an interim and refundable across-the-board rate increase of 15.74 percent, effective November 1, 2017, and a proposed permanent across-the-board rate increase of 39.35 percent. About PenAir – PenAir was founded in 1955 by Orin Seybert in Pilot Point, Alaska. It is one of the oldest family-owned airlines in the United States. The airline is also one of the largest regional airlines in Alaska and the Northeast U.S., and one of the largest operators of Saab 340 aircraft in the US. System-wide, PenAir has 700 employees and serves 25 destinations. 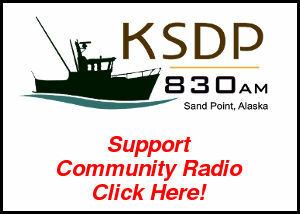 Meeting will be held at 5:30pm at the KSDP Business Office in Sand Point. Meeting is Open to the Public. Alternative Shipping for Tustamena Cargo! (JUNEAU, Alaska) – The Alaska Marine Highway System (AMHS) announced today that Coastal Transportation, Inc. will assist AMHS customers impacted by the delay of the M/V Tustumena. Coastal Transportation, based in Seattle, will carry cargo on an “as able basis” from Homer and Kodiak, to Aleutian Islands destinations, at the same cost AMHS charges. Unfortunately, Coastal Transportation is prohibited from carrying passengers. AMHS customers attempting to rebook their cargo with Coastal Transportation should let Coastal Transportation agents know they are displaced AMHS customers to ensure they receive the AMHS rate. Coastal Transportation can be reached at 1-800-544-2580 or 206-282-9979. Last week, AMHS announced that the Tustumena was delayed at the Vigor Ketchikan Shipyard for two months. The delay was due to the discovery of additional extensive steel wastage in the engine room and necessary repairs. It is anticipated the Tustumena will return to service departing Homer at 5 p.m. Tuesday, July 18. AMHS staff explored several options to fill the transportation void resulting from the Tustumena delay. Safety was the highest priority, so utilizing the Tustumena was not an option. The use of another AMHS vessel was not viable without the risk of a more widespread and disruptive service outage both in terms of passenger disruption and financial consequences for individuals and for the marine highway system. Vessel will return to service Tuesday, July 18. (JUNEAU, Alaska) – The Alaska Marine Highway System (AMHS) announced today that the M/V Tustumena will remain at the Vigor Ketchikan Shipyard longer than previously expected. The Tustumena delay is due to the discovery and necessary repair of additional extensive steel wastage in the engine room. A repair plan developed in conjunction with the United States Coast Guard will ensure the vessel is safe before service is resumed. It is anticipated that the Tustumena will return to service departing Homer at 5 p.m. Tuesday, July 18. Originally scheduled to return to service on May 27, the Tustumena delay impacts communities in Southwest Alaska and along the Aleutian chain. The Tustumena went in for a scheduled annual overhaul on March 13. The Tustumena is 53 years old. A replacement vessel has been designed but is awaiting funding through the pending fiscal year 2018 capital budget. AMHS staff is contacting affected passengers. For more information, please call your local terminal or the AMHS central reservations office at 1-907-465-3941 or toll free at 1-800-642-0066. An updated schedule will be made available online at FerryAlaska.com. 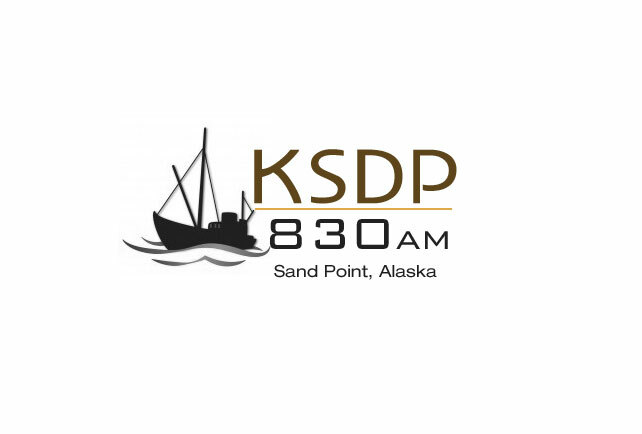 KSDP will be having an open board meeting on December 13, 2016 at 5:30pm at the Sand Point studio offices. 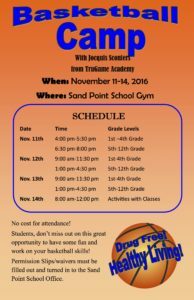 Sand Point November Basketball Camp! 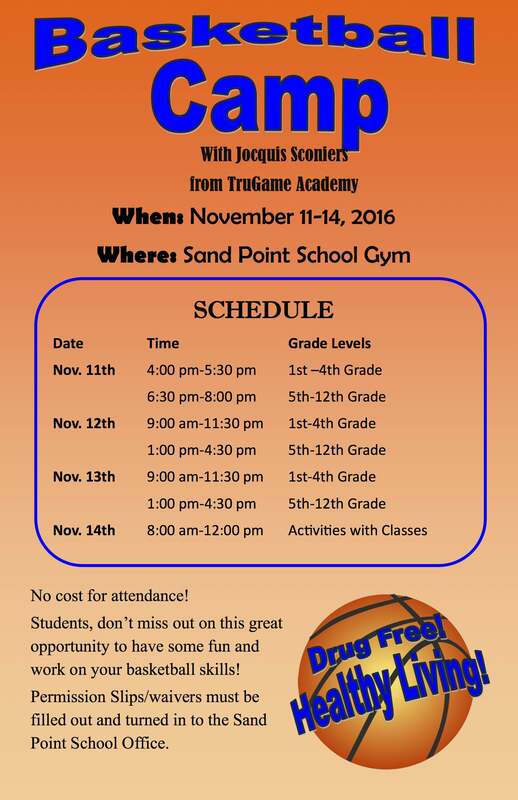 Get Sign Up Sheets at the Sand Point School!